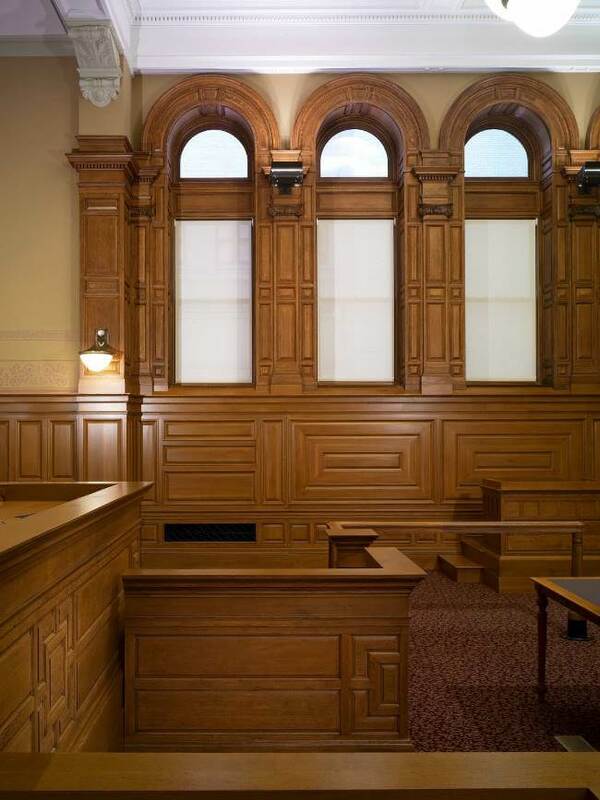 The John Adams Courthouse, formerly known as the Suffolk County Courthouse, was opened in 1894, and designed by Boston City Architect George A. Clough. 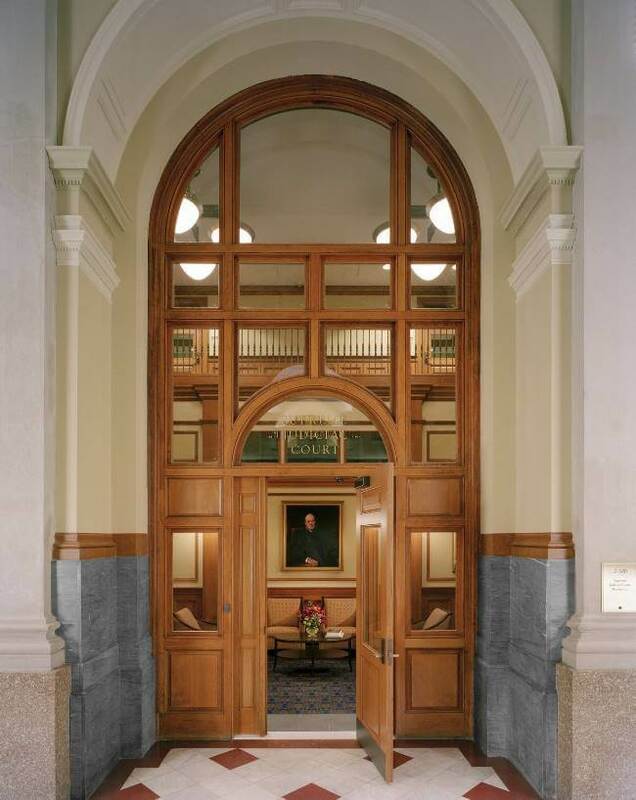 The original building was expanded upon between 1909 and 1914, when four additional stories were added to the already monumental structure. 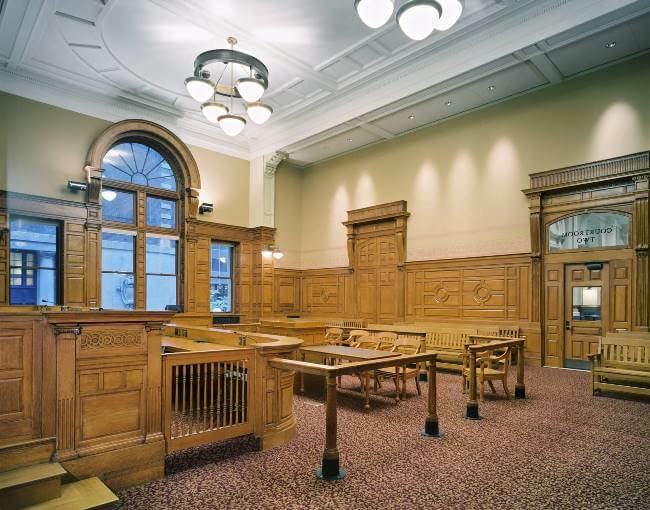 Like many buildings of its time, the John Adams Courthouse was a conglomeration of styles, incorporating the mansard roof of the Second Empire movement with the stylized columns, arches, and entablatures of Classical Revival. 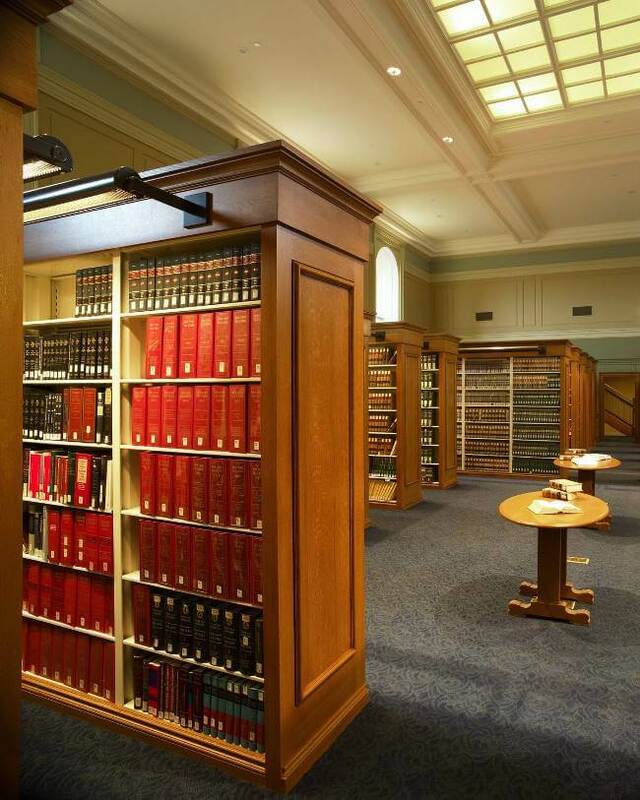 During the first forty years of its existence, the structure housed the Supreme Judicial Court of Massachusetts and the Social Law Library, a library established in the early 19th century to provide citizens of the Commonwealth with access to a plethora of information and ability to research legal problems, should they be so inclined. 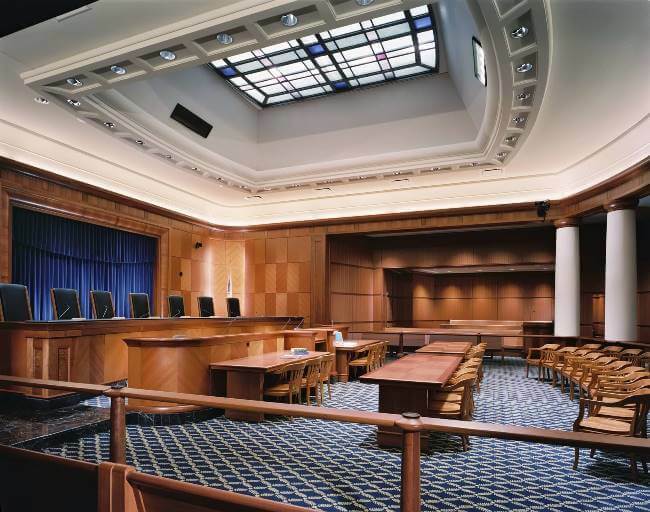 A new Suffolk County Courthouse was completed next door in 1939, at which time the SJC and the Social Law Library moved out of the old building and into the new. 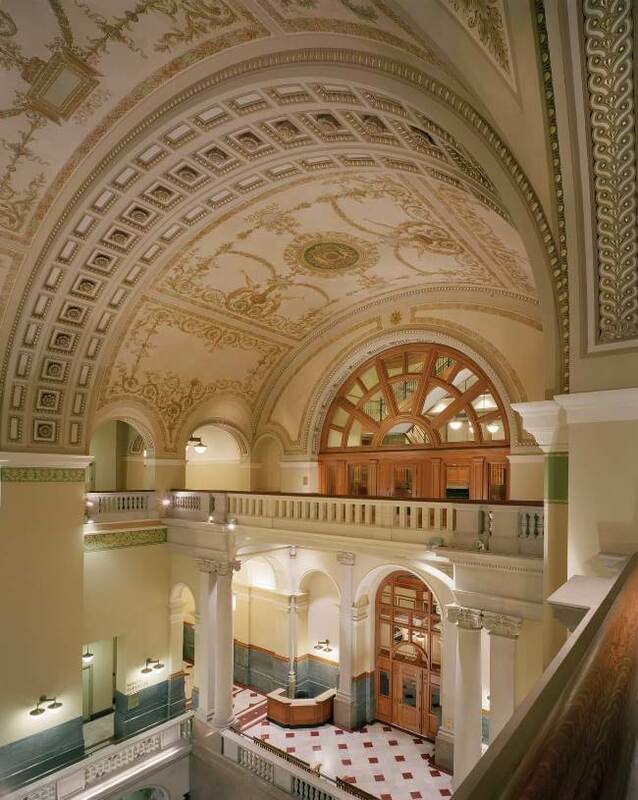 In 2005, a major restoration and renovation of the structure took place. 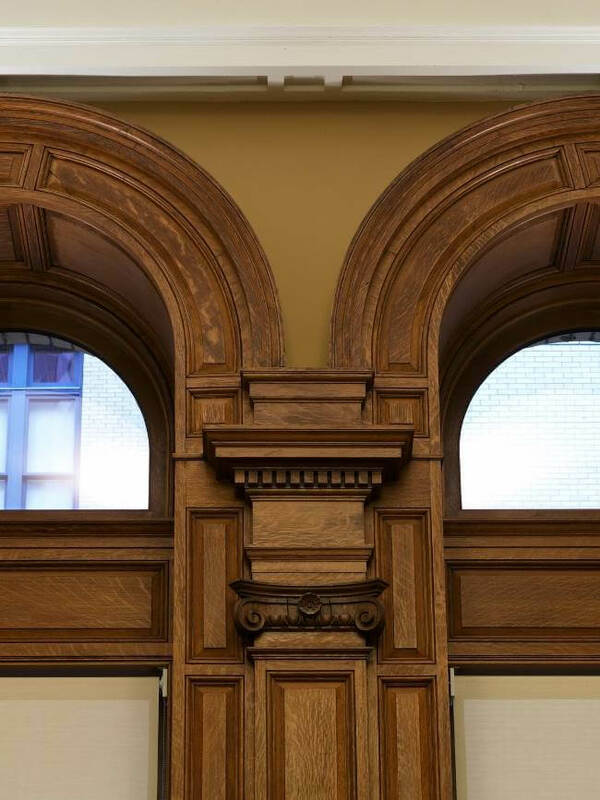 The restoration both preserved and restored significant architectural elements while at the same time, providing 21st century upgrades to the century old building. 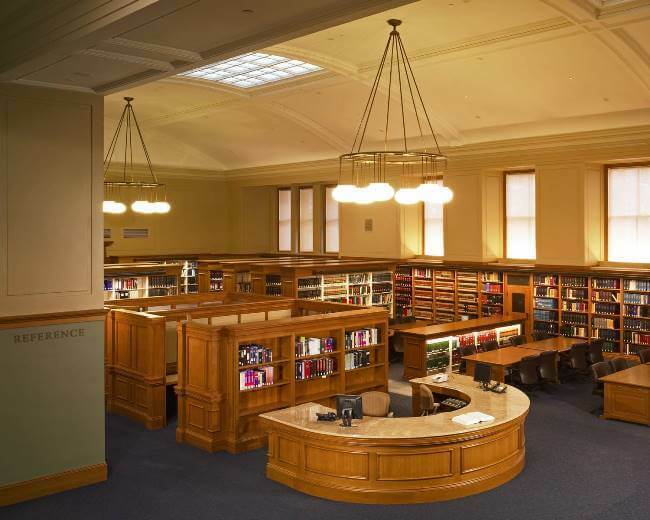 The Social Law Library was not only restored, but also expanded upon to accommodate Massachusetts’ historic law collection. 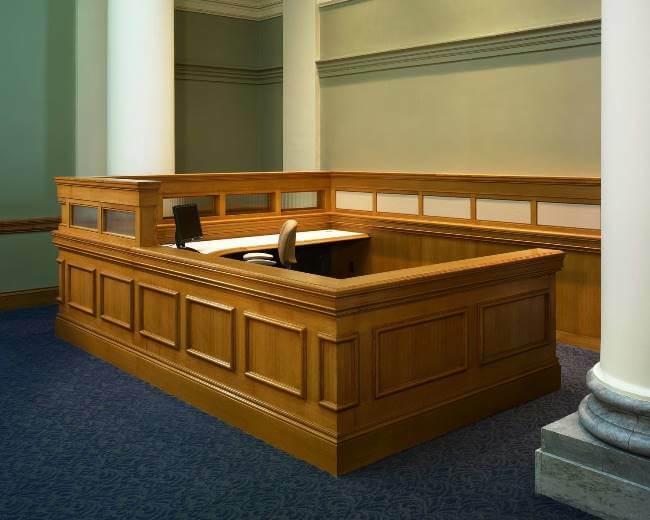 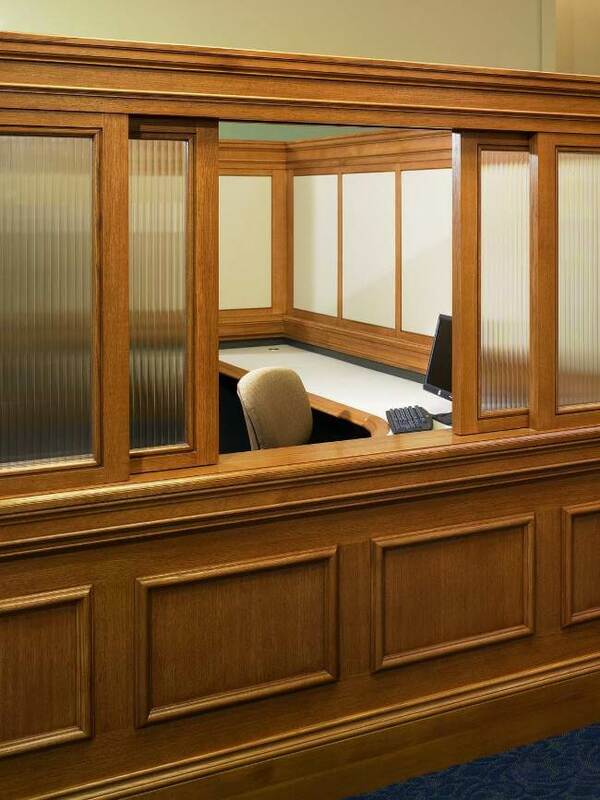 The renovation also included the addition of a social science library, courtroom, judges’ chambers, conference rooms, and offices. 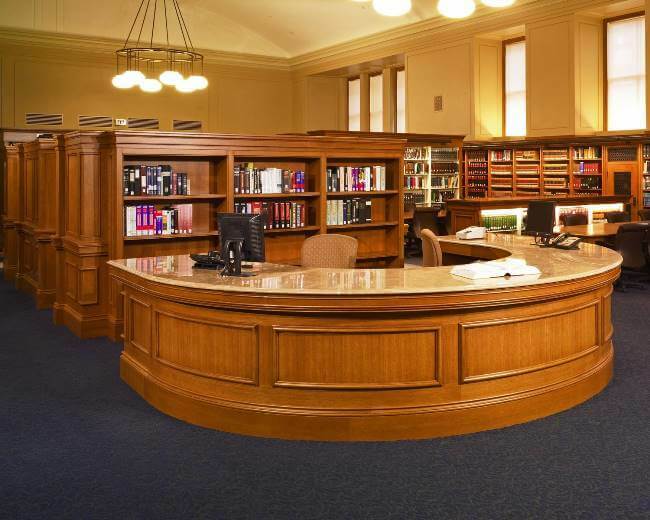 After the restoration of the John Adams Courthouse was completed, the Supreme Judicial Court and Social Law Library, as well as the Appeals Court, returned back to the beautiful late-20th century stone building.